So which one to buy? I had a war chest of around $25,000. The basic requirement is that it had to be a convertible with a stick shift. This meant that I could have any number of C5 (1997 - 2005) choices, and, with some maneuvering, maybe a C6. Advantages for the C5/C6 included the wonderful handling from the modern suspensions, reliability, good fuel economy and the fact that they would transport you long distances without Spanish Inquisition style torture. But the C5 / C6 solution had a downside: although used, they still had a lot of depreciation left in them. This meant that the earlier classics deserved serious consideration. A 1959 / 1960 would have been ideal. 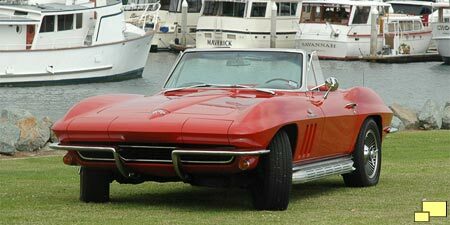 They can legitimately claim to be the best looking Corvette, as well as one of the best looking cars ever available. But the price made them out of reach. Despite the high prices, the 1959 / 1960 model years are an excellent investment. Below: The C2 (in convertible form, of course!) was also very tempting. They offered a classic look that has proved itself to be timeless. The independent rear suspension was a clear advantage. The C1 generation (1953 thru 1962) would be out of my price range. C2 (1963 - 1967) was a prime candidate, specifically 1965 - 1967 models as they included disc brakes. But the rub here is that the minimum for a driver quality four speed convertible was $35,000, and there was no way I could budget that even with a high level juggling of the books. It looked like my best bet would be a C3 (1968 thru 1982). The most desirable (both in my opinion and that of the collector car marketplace) would be models with front and rear chrome bumpers, specifically 1968 thru 1972. So the search began. 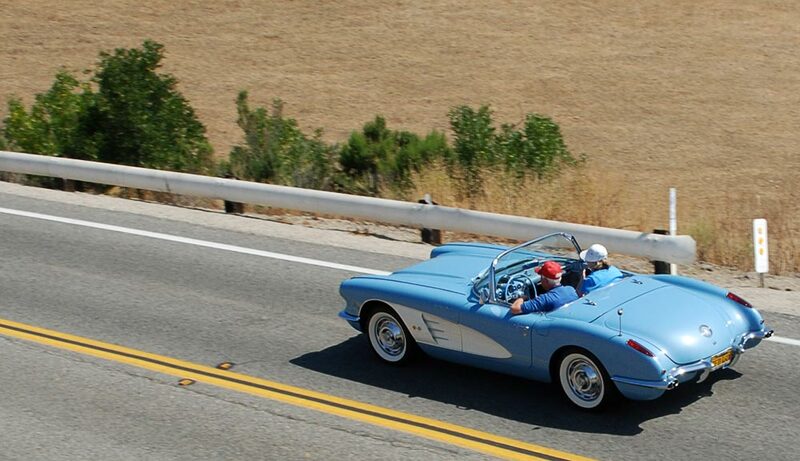 As I wrote in Classic Corvette Purchasing Tips, "It's not the destination, it's the journey! ", the "search for a Corvette as it is almost as much fun as owning one". My search consisted of the usual and obvious sources: eBay (the saved searches feature works great), Hemmings, Auto Trader Classics and, of course, our own Corvettes For Sale site. I also put up wanted postings at corvetteforum.com and corvetteactioncenter.com. I was looking for a four speed convertible, hoping for a good quality driver. All candidates had to be local; there were too many bad stories of buying cars long distance, so I just could not consider them. 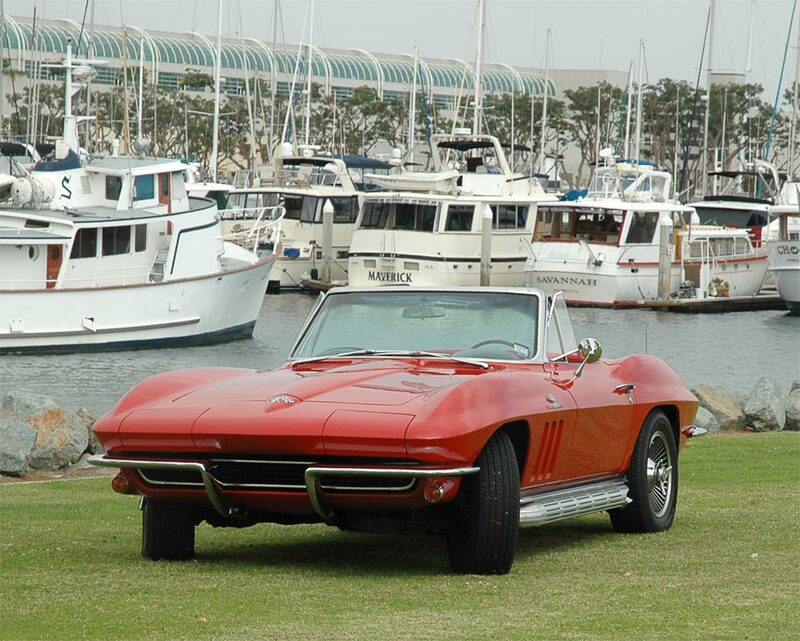 Fortunately there are enough Corvettes in the Southern California area to choose from. There were two inspection items that, to me, were critical. 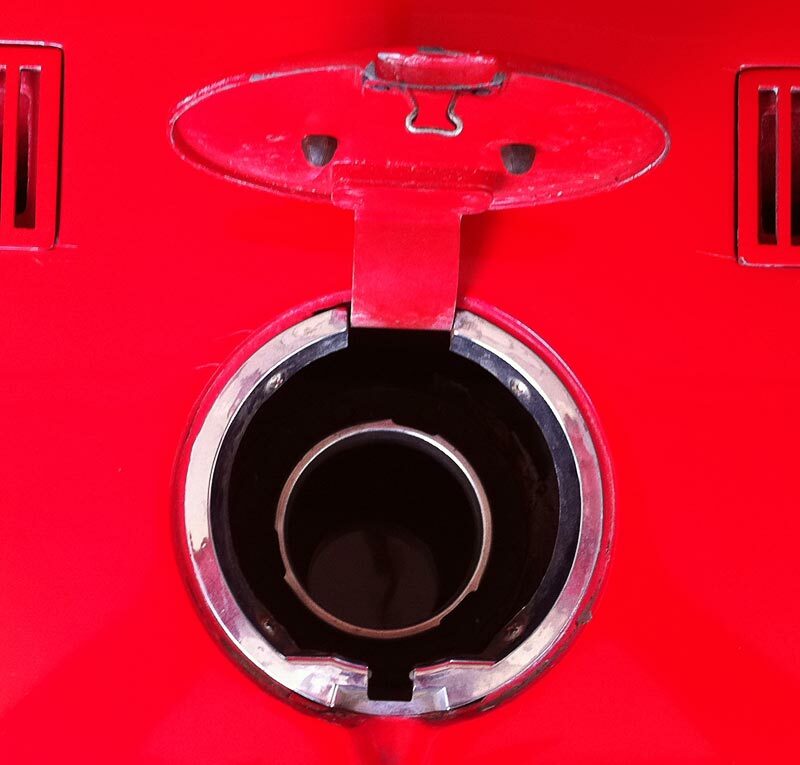 As a way of looking for possible frame damage, I'd pop the fuel filler door and check (below left) that the gas cap was centered in the body opening, a tip passed along by an experienced Corvette dealer. Keep in mind however that a savvy repair job could include positioning of the fuel tank so that the defect does not appear. Above right: It was also important that the ignition shielding was intact. The purpose behind the shielding was to prevent static on the radio. 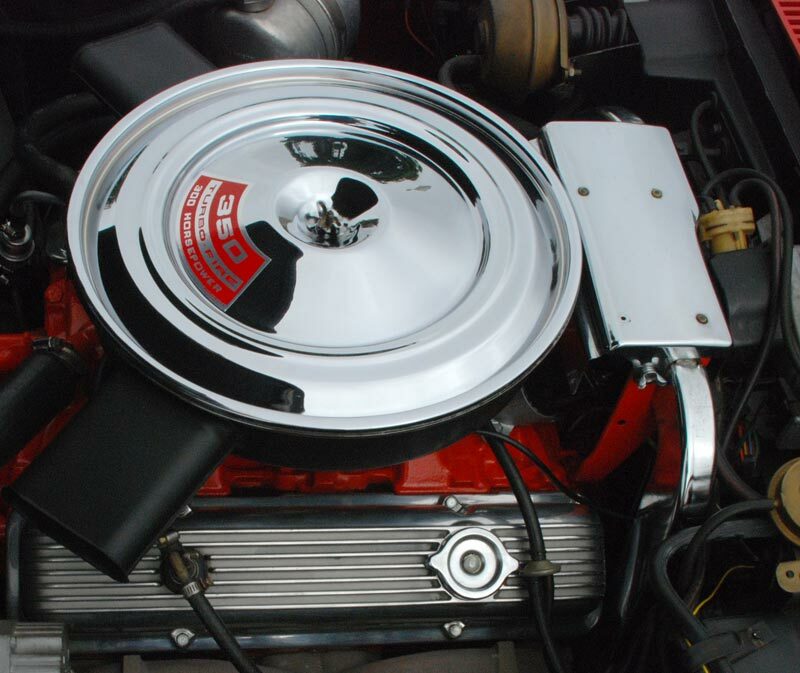 It would have to be removed during regular tune-up maintenance (around every 6,000 miles) and was a hassle to do. My reasoning was that if an owner didn't care enough to keep this detail consistent, there were likely to be other problem areas. Colors: Black was out, as they are too difficult to photograph. I thought about white, but it would be a hard sell. Blue interiors were also cause for rejection. No particular reason other than my first car had a blue interior and it brought back bad memories. I also wasn't keen on those that had matching exterior / interior colors. Red is always great and a good investment. Yellow, Ontario Orange, Cortez Silver and Mulsanne Blue Corvettes got bonus points.